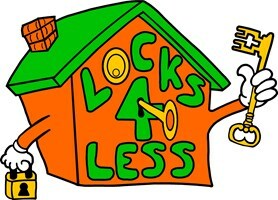 Locks 4 less Locksmiths - Locksmith based in Danbury, Essex. UPVC & Double glazed door specialist, Locks, Handles, adjustment and mechanisms including: ABT, AGB, Avocet, Azbe, Cego, Corbin, ERA, Fab n fix, GU Ferco, GU, FIX, Fuhr, Fullex, Gridlock, Kenrick, KFV, Lockmaster, Maco, Mila, Millenco, Roto, Safeware, Scope, Union, Winkhaus and Yale. British standard 3621 5 lever deadlocks supplied and fitted, Yale locks and night latches. Key safes supplied and fitted. Lock cylinder upgrade to British standard anti-snap. Garage door locks changed and repaired. We are a small independent family run business with no ties to any national companies or larger franchises, We have many genuine customer reviews on our website and now get a great deal of work through recommendations and referrals. Realistic prices and quality workmanship but above all honesty is key to our success. Our speciality is domestic locks especially Upvc/Composite door locks and mechanisms including Anti-snap cylinder upgrades, handles and door alignment. We do not charge a call out fee, just labour charge for work carried out, we also offer free quotes and work on a no fix no fee basis. We accept most debit and credit cards without any additional fee. We carry most types of lock in van stock including: Rim cylinders, Mortice and sash locks, Multi point gear boxes, Garage locks and additional security items.